Peri-implantitis, a bone destructive and soft tissue disease– is a dental implant complication that affects more than 33% of patients and up to 43% of dental implants, with diabetics and smokers particularly at risk. Peri-implantitis can cause bone loss and implant failure. Peri-implantitis treatments include local debridement and anti-infectious therapy. Sometimes a surgical procedure is necessary for more comprehensive debridement and attempted implant surface decontamination. 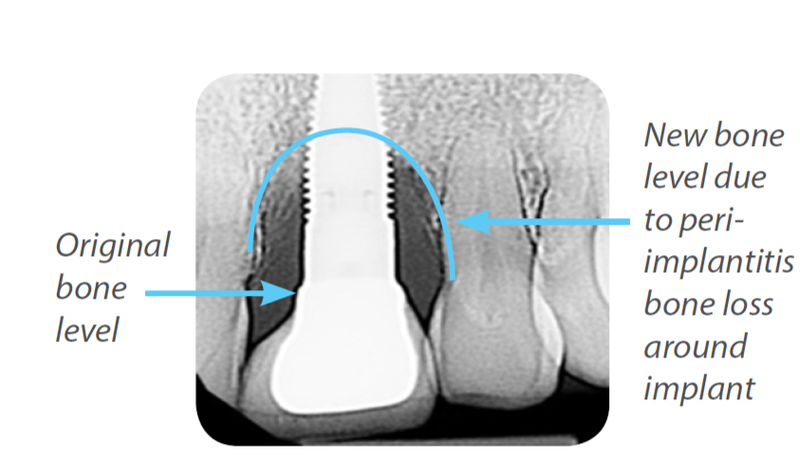 It is not unusual for periimplantitis to result in implant failure and removal. 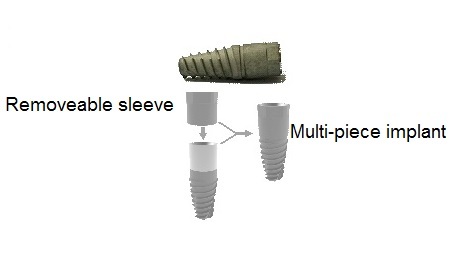 Implant-B has developed a novel multi-piece implant with a removeable sleeve. It is inserted like any standard implant. However, if periimplantitis develops, the restoration is removed and the contaminated sleeve extracted. After tissue debridement (a standard protocol), a new, uncontaminated titanium sleeve is slipped over the implant and the original restoration returned. Completely removes the contaminated surface area. Re-use of the original restoration saves both time and money. Established 2015, operates within the VC-supported NGT3 technology incubator. Two leading prototypes have been developed and undergone serial production. Pre-clinical trials to prove the peri-implantitis solution are underway and will run until January 2018. Clinical trials to prove implant safety will commence in Israel in July 2017 (20 subjects, 12-month duration). CE Mark clearance is expected during 2017 and FDA (510k) approval during 2018. The global dental implants and prosthetics market is expected to grow to ~USD 12.3B by 2021 at a CAGR of 7.2%, driven by a growing geriatric population, rising incidence of dental caries & periodontal diseases, growing disposable incomes and the rising demand for cosmetic dentistry. Value and premium implants currently make up ~84% of the dental implants market. The dental implants and prosthetics market has a good mix of large- and medium sized global players. There are a number of Israeli companies already active in this market, including MIS Implants, which was recently acquired by Dentsply-Sirona for USD 375 M.
Leading dental players are focused on strategic acquisitions for technology innovation and market access, with several multi-billion-dollar transactions over the last three years. There are strong opportunities for new entrants with specialized knowledge and innovative products. Dr. Liat Chaushu, Founder & Director ,DMD, MSc in Clinical Periodontics. Adir Gadyukov, COO ,Former project manager at MIS. Zohar Gendler, BOD Chairman,Led establishment and investment in more than 50 companies. Dr. Arie Ben Josef, Director ,DMD, MSc, LLB. Over 20 years’ managerial experience in medical device & healthcare industries. National phase entered September 2017 in: USA, Canada, Europe, Australia, China, Israel. Claims cover renewable outer surface to maintain initial implant and promote osseointegration.